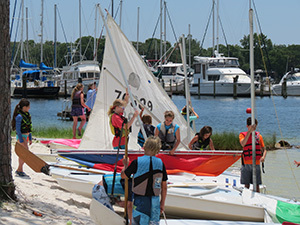 Emerald Coast Sailing Association | Summer Sailing Camp, Children & Adult Sailing Lessons & High School Sailing. 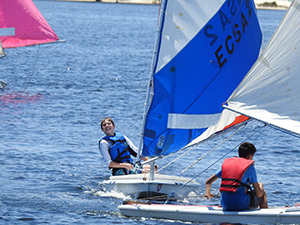 The Emerald Coast Sailing Association offers sailing lessons to youth and adaptive sailors. Beginner through advanced courses available for sailing! Groups and community organizations welcome. Scholarships are provided to all who meet the financial requirements. Visit our scholarship page to see if your child qualifies for financial assistance for summer camp. Since 1992, ECSA has served hundreds of youths as a non-profit business and a US Sailing Certified Community Sailing Center. We take pride in the quality of our professionally staffed educational programs and our generous youth scholarship opportunities. 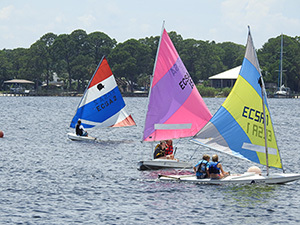 ECSA is open to the public and all are invited to learn to sail and explore the water safely. 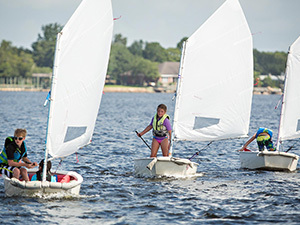 2019 Summer Sailing Camps Are Open For Registration!